Have you ever heard the saying, “A dog is for life, not just for Christmas”? Well, the same goes for your customers. Much like the many stories of Christmas-morning puppies losing their novelty as the gloomy January weekends loom, many ecommerce businesses make the mistake of fussing over customers around the festive period with no thought given to a long-term relationship. And amidst the commercial whirlwind of December, those businesses might be forgiven for such a transgression. But that doesn’t mean they can’t do better. A little investment into your customers at this time of year can go a long way in evolving them from new customers to returning ones. And all it takes is four simple steps. One of the most constant reminders that Christmas is on its way is the onslaught of Christmas songs on the radio, be it in the car on the way to work or blaring through the office radio. As a business, you can remind your customers of your presence with your marketing. 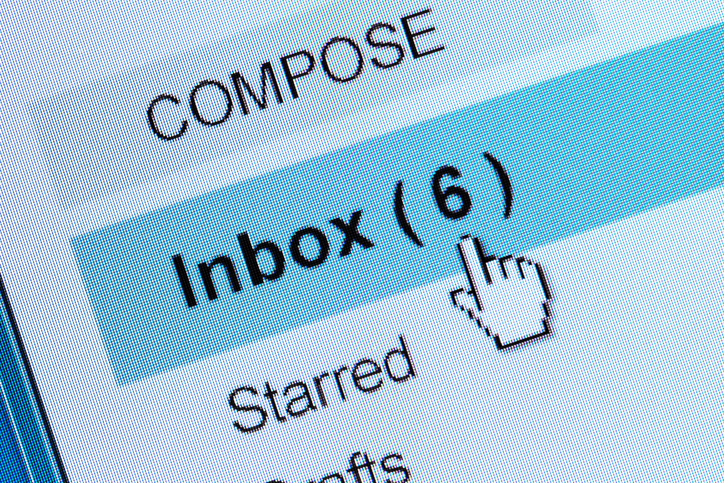 Email — Getting good real estate in your customers’ inboxes is a great way of bringing your presence to their doorstep. Make sure your subject lines cut through the noise, whether that’s with personalised messages, or a tantalising promise of a gift code enclosed. Onsite — When customers come to your website, you need to make really clear the value you provide. Ensure your homepage messaging is tightly in-line with the messaging you’ve promoted via email or social media to reinforce to your customers that the offer they came for still stands. Social media — Get where everyone is talking. Social media is a great platform for advertising. Though you might not get any direct clicks, you can ensure that people see your name a couple of times at least each time they scroll through their feed. Adjust your messaging following Christmas, and keep going. In the few weeks after transacting with you, there are plenty of excuses for customers to return and buy a gift for themselves with their Christmas money if they so choose. All you need to do is make sure you’re at the front of their mind. Everyone says that the best part of Christmas is not the receiving but the giving of gifts. And you know what? It’s true — especially for an ecommerce business. You see, when a buyer’s attention is being competed for with ruthless promotions from all sides, a friendly gesture goes a long way. Gifts are obviously dependent on your budget, but even the smallest of gifts can go a long way. Consider offering a voucher or a discount for their next shop with you, or a free upgrade to express delivery. You could even follow the example of some companies and make a small donation to a relevant charity in your customers’ names. The important thing to remember here is that it’s the thought that really does count. Even if you can't afford a gift, you can win over a customer with a personalised email or letter expressing gratitude that they've chosen to shop with you. It separates you from the rest of the crowd and helps your customers associate you with a positive experience the next time they need to buy a gift. Every child has at some point asked for something that no Christmas budget could accommodate. Be it a racing car or a trip to Disney World, even Santa has his limits. Managing customer expectations is crucial to ensure they avoid disappointment later. So what can you do? 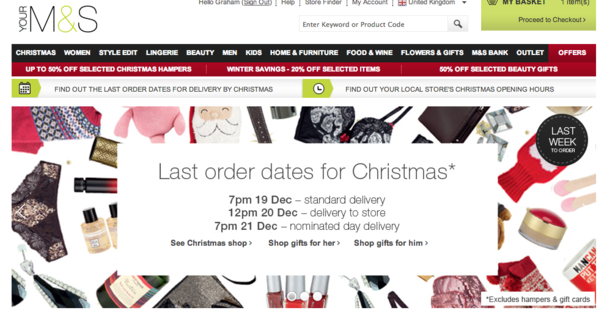 Last posting dates — Notify your customers of the last day they can buy to get their gifts delivered in time for Christmas. Take the example of Marks and Spencer below. Not sure which day? Check out our last posting dates page to find your selected courier and destination. Give yourself space — Factor in an extra day or two beyond the stated last posting date on your site for packaging and dispatch. However, you can ensure this is done as efficiently as possible using our bulk shipping tools. Returns policy -- You can help settle cautious new customers by making clear your returns policy, especially if you offer free returns. They're much more likely to buy your product if they feel that they have options should they dislike it. Just like the moment a child stops believing in Santa Claus, a customer who has lost faith in your ability to deliver can have a domino effect over the Christmas period. Negative reviews — even those that are word of mouth — can spell disaster for a business if they’re left unaddressed. Getting back to your customers fast is essential at this time of year, where everything is that bit more urgent. Customers will flock to companies that respond quickly, and abandon those that don't. Make some time in your day to monitor user feedback over the Christmas period. Not only will it help you resolve issues with each customer to encourage them to purchase again, but you'll also be able to spot trends. For example, a string of reviews about the same product might suggest that there's an issue with that product in particular, which you can resolve before the problem gets worse. You might even send out a survey following a purchase to ask a customer how things went. Not all customers who have a negative experience will leave a review, so a survey helps catch those who are quietly disappointed and gives you a chance to get them back onboard with your brand. With these four steps in place, you’ll establish a strong rapport with both new and existing customers that will have them coming back for more even after the festive period ends. Remember: customers are for life, not just for Christmas.